The DDM Works dual pillar pod is molded plastic to withstand cracking, fading and warping. Holds two 52mm or 2 1/16th inch gauges as well as gives a clean OEM look. No mounting hardware needed and instructions are included. Can also be fitted to hold the On-Star microphone. 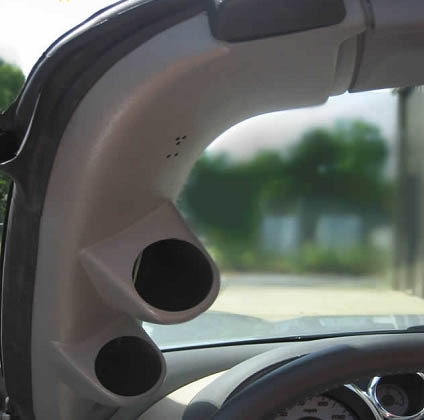 This pillar pod is car specific.